Now that spring is here, the plants are springing to life! However, your flowers aren’t the only thing coming to life! Weeds are breaking through the soil and depriving your true grass from sunlight & nutrients. 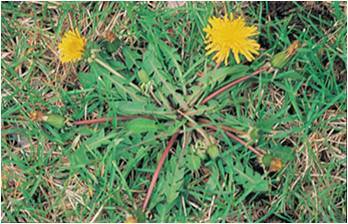 There are a few options to keep weeds under control in your lawn and flower beds. Perennial weeds, “the reoccurring weed”, should be dug up completely since they can lay dormant and return the following spring from a root that survived the winter. Annual weeds cultivate from seeds from the previous growing season and only have one life cycle, therefore a pre or post herbicide is best to prevent their development. Best way to keep your lawn looking green is to not let these weeds take control in the first place. Use pre-emergent herbicide early spring and it will protect your lawn all summer. 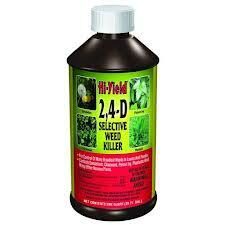 Any 2-4-D product will help you control those pesky weeds from taking control over your green & lush lawn. Keep your lawn looking green is simple.. mow often, fertilize and weed it. Stop by McGregor General Store for all your organic and non organic herbicides, fertilizer and lawn & garden tools.